Real Estate Trends in the Philadelphia Region: Residential Development Forecast is Warm and Sunny — Advanced GeoServices Corp.
Kevin Gillen with Drexel University’s Lindy Institute is the unparalleled number cruncher when it comes to residential real estate in the greater Philadelphia area. His May 9th assessment: “Even with recent price moderation, Philadelphia continues to outpace both its suburbs and most other major U.S cities” (see below). For a detailed dive into the data, see his full report. This includes North Central Philadelphia, where a recent development boom prompted the city to open a new Department of Licenses and Inspections (L&I) at 1514 Cecil B. Moore. Commercial and residential construction proposals and projects include Temple University’s stadium and community center, a new residential tower (“The Nest”), and the Philadelphia Housing Authority’s affordable housing project. Million dollar sales experienced the first significant year over year decline since 2012, but overall sales volume continues to trend upward. Leslie Smallwood-Lewis, co-founder of Mosaic Development Partners, is part of the development sector focused on middle market needs - “this market consisting of millennials who are struggling with student loan debt, only a certain amount of disposable income in entry-level jobs and can’t afford to live in the Center City core”. Smallwood-Lewis spoke at the Philadelphia State of the Market about leveraging historic tax credits and blending multiple sources of capital to create communities for “teachers, entry-level financial analysts and everyday hardworking people”. In Wilmington, Delaware, multifamily is the strongest facet of the real estate market. Specifically, areas that promote walkability and sense of place, such as the Wilmington waterfront, command higher rents than anywhere in the region outside of Center City Philadelphia. 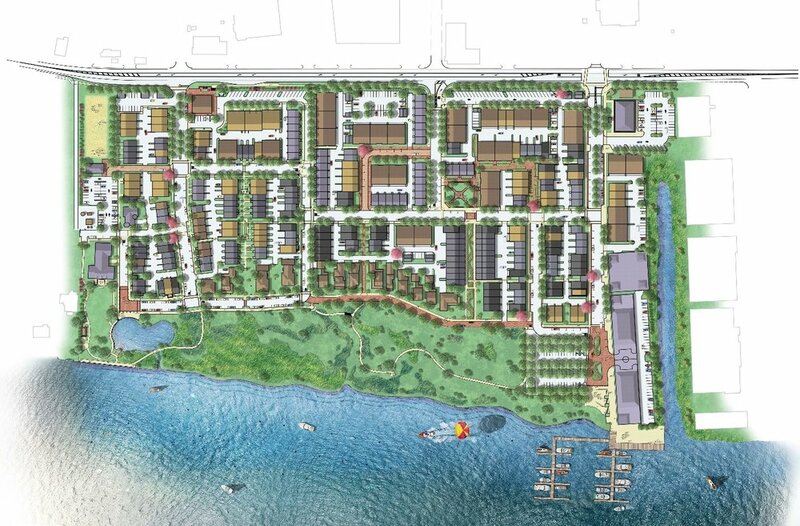 “[The Wilmington waterfront] has turned into a place where people walk around and fill up restaurants,” Potter Anderson & Corroon partner Joy Barrist said at Bisnow’s North Delaware State of the Market event May 17th. Westover Cos. owner and President Guntram Weissenberger emphasized affordability: “What’s important in Delaware is that the cost structure has remained a little bit lower, which has helped us to keep apartments affordable. And, that’s going to become an issue in the coming years as demand remains strong … The affordability component will really come to the forefront, as rents have risen in Pennsylvania a little faster than in Delaware.” Development of the areas surrounding the Brandywine and Christiana Rivers, led by The Riverfront Development Corp., will focus on multifamily housing “for the next few years, because there are developers from in the state and out of the state expressing interest,” said Megan McGlinchey, Executive Director. Advanced GeoServices supports single and multifamily developments throughout the Greater Philadelphia region, including Waterside on the Delaware River in Bucks County, Siena Place in Philadelphia, and Liseter in Delaware County. Our award winning geotechnical, site design, and civil engineering experts can align project needs for space and effective stormwater management with landscape features that are attractive amenities for residents.